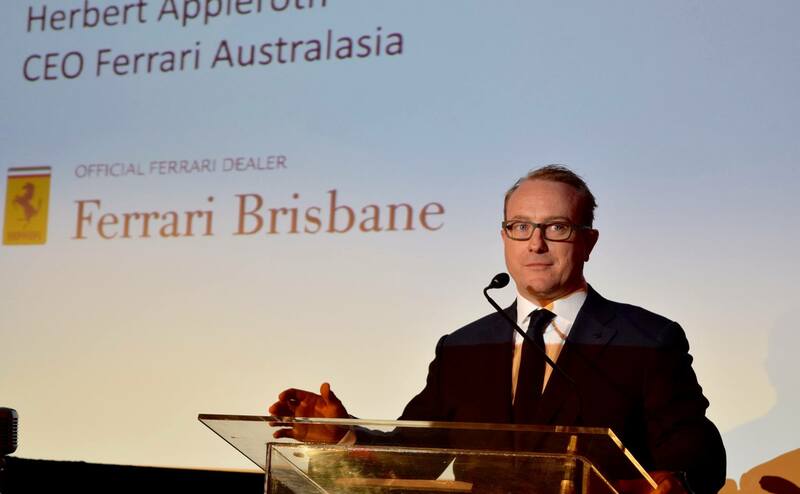 Brisbane Ferrari seemed to always be searching for a place to call home. 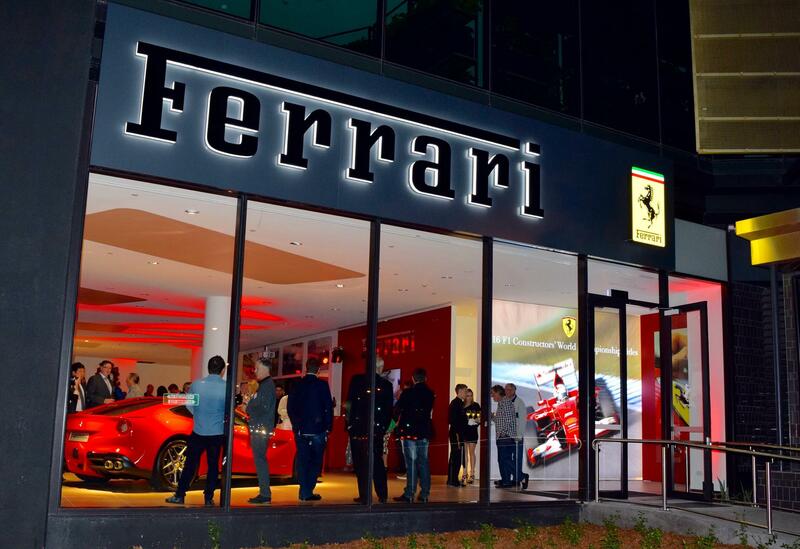 And after many different locations, they now have an amazing new premises. 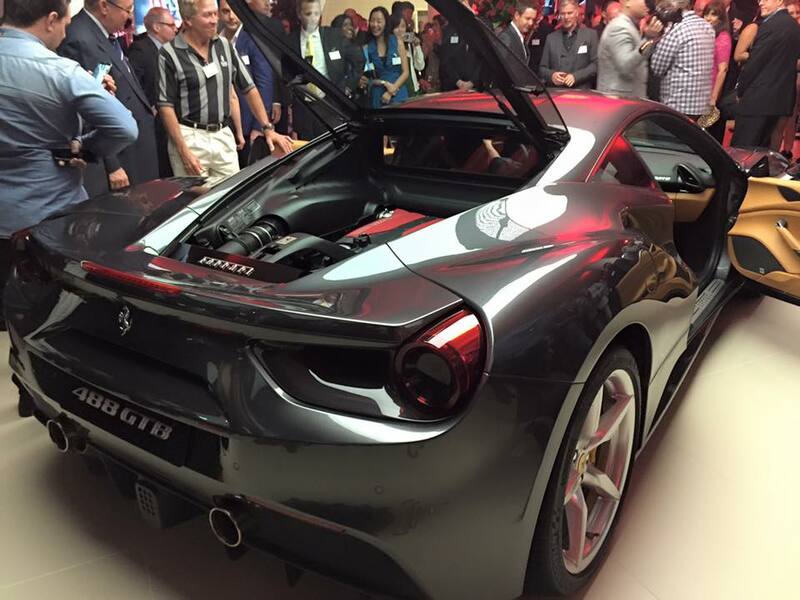 So what a better way to kick off the launch of the new Brisbane Dealership, then to unveil the stunning Ferrari 488 GTB at the same time. 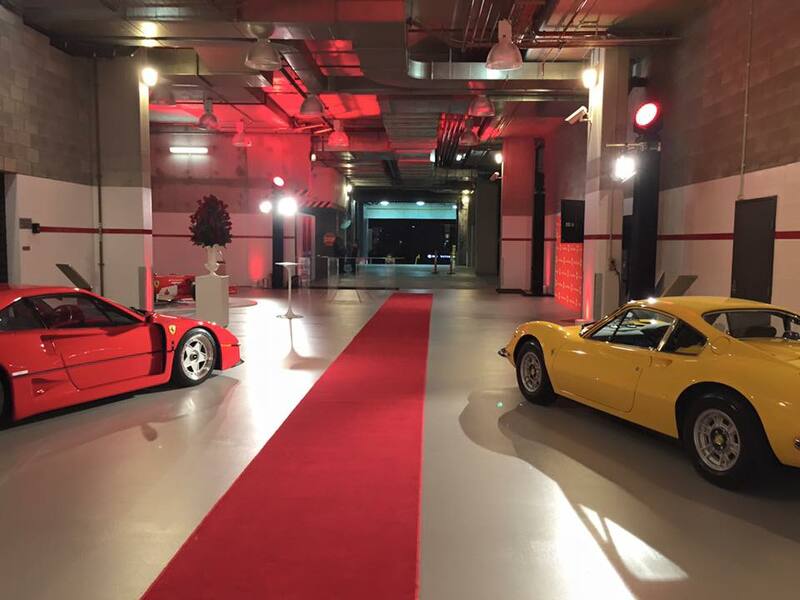 Guests were greeted with a Red Carpet entrance, and of course some of the Ferrari classics were on show. 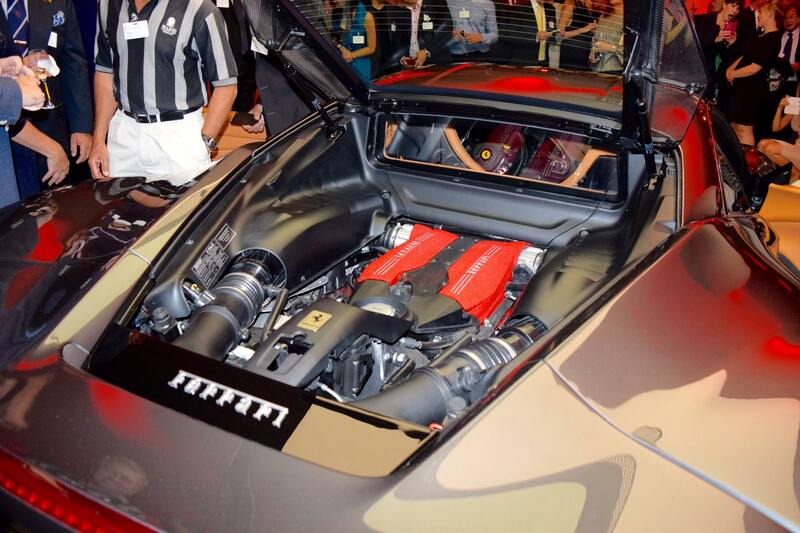 Ariana & The Ferrari F40. 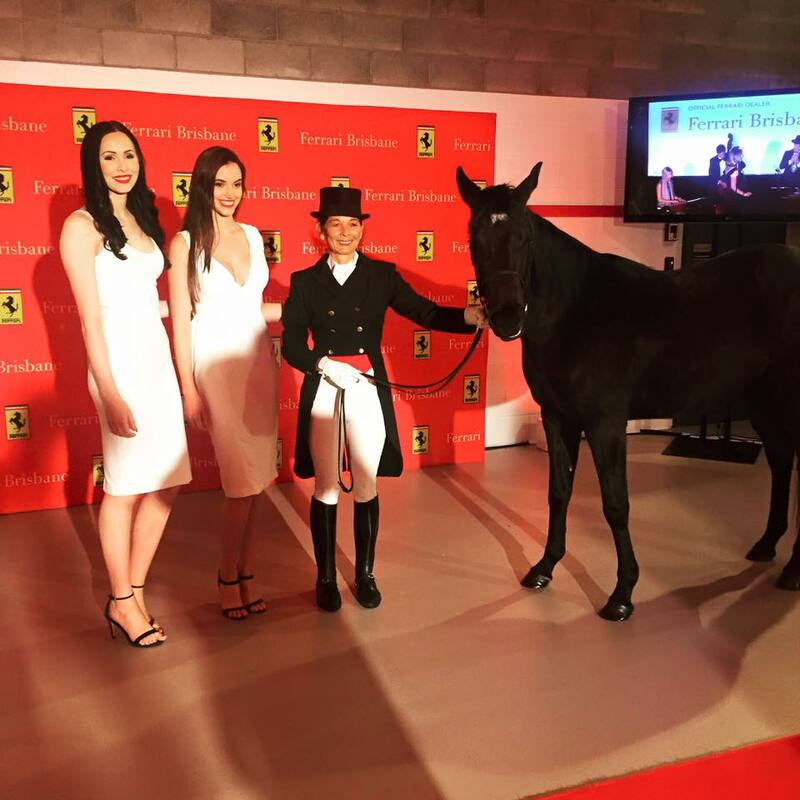 The finer touches were a real life “Prancing Stallion”, where you could be photographed against the Ferrari wall. 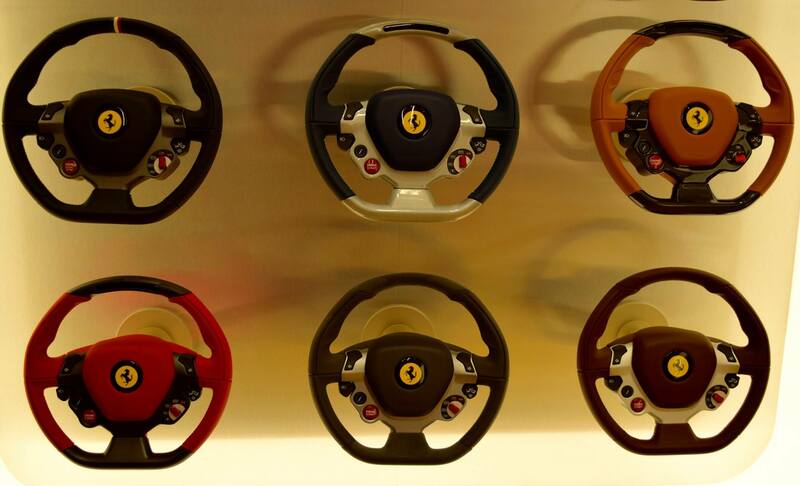 Not only is there the current Ferrari’s on show, but the new showroom is well laid out with many practical features. 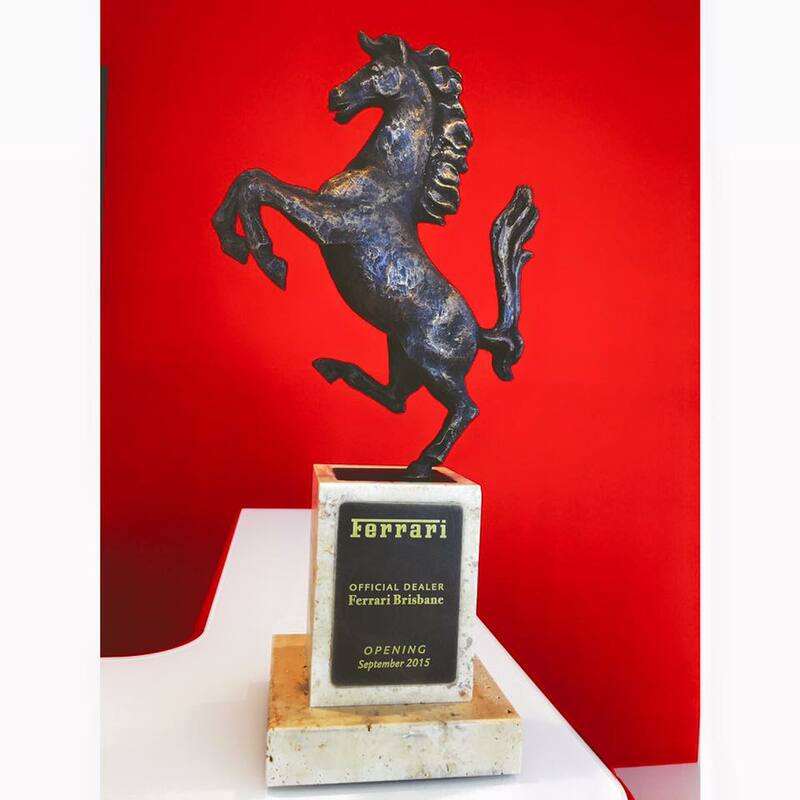 The Ferrari lounge, where you can relax and browse over one of the classic Ferrari books. 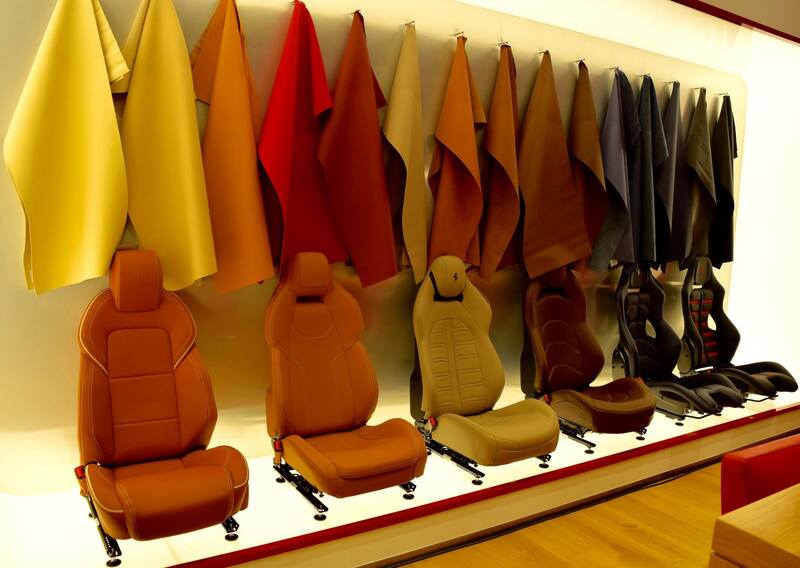 This specially designed rooms where you can choose your Leather and seating style, as well as steering wheel and brake choices and colours. 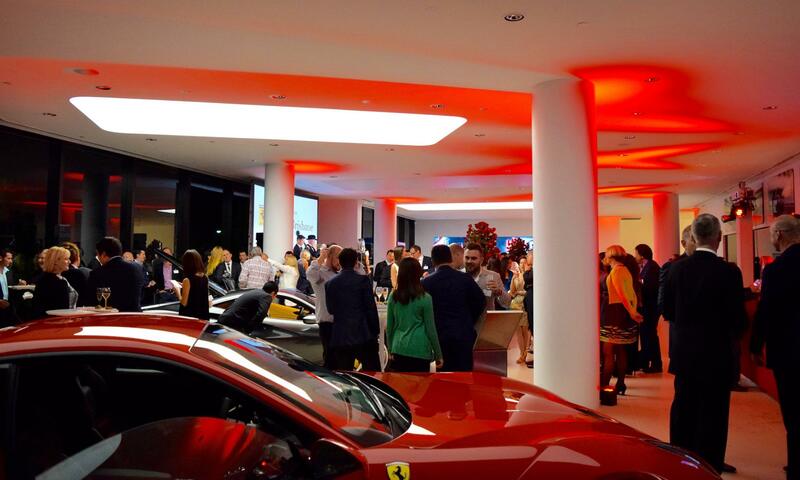 The ample showroom created a perfect atmosphere for the attending guests. 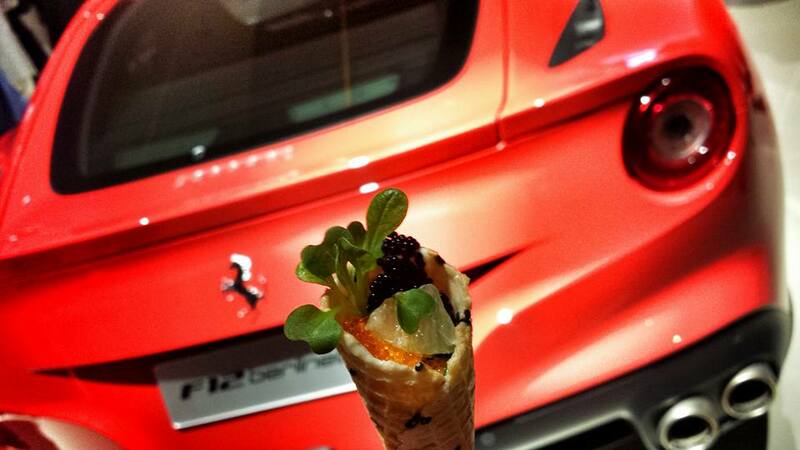 They were entertained with a live band, Ice sculptures and of course amazing food. Martin Roller the managing director was welcomed to the stage. 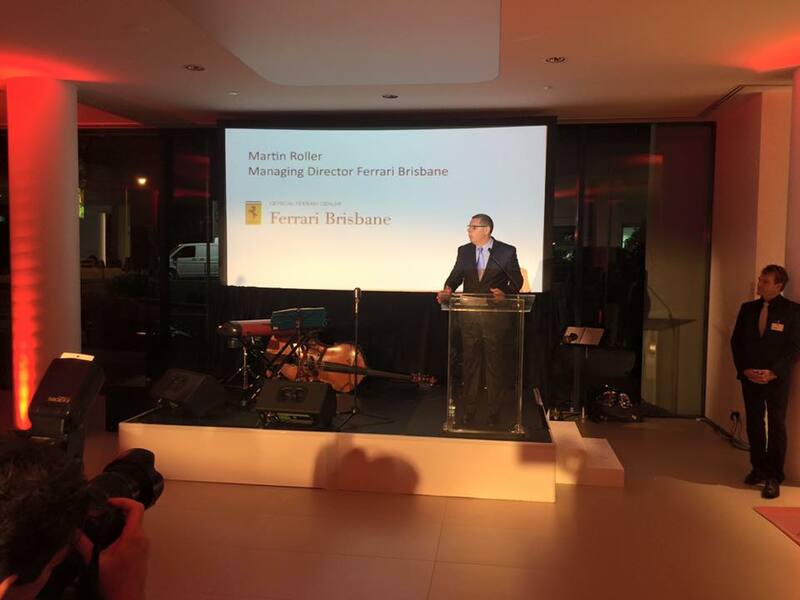 Then a great welcome to the CEO of Ferrari Australia Herbert Appleroth, who helped open the dealership and also unveil the new Ferrari 488 GTB. 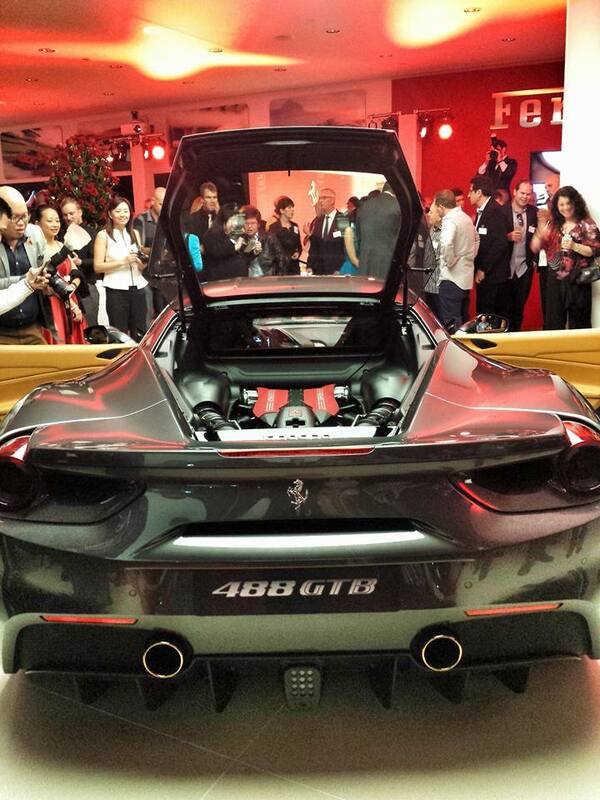 Then with much anticipation the covers were rolled off Ferrari’s latest creation. 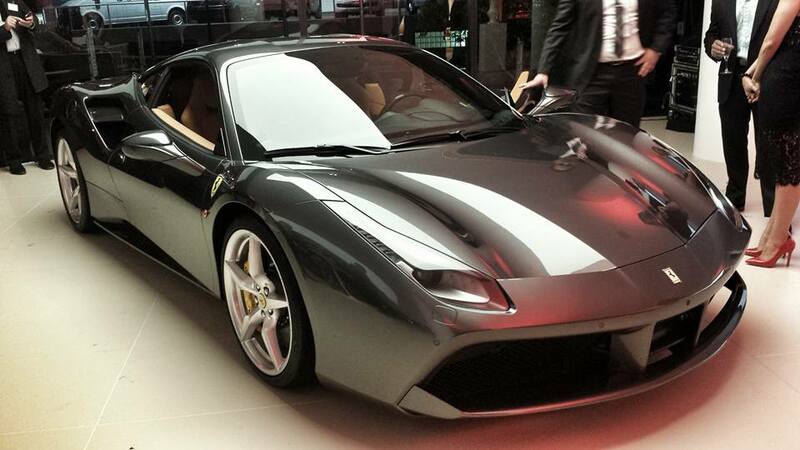 The Ferrari 488GTB, in a warm Gun Metal grey colour. 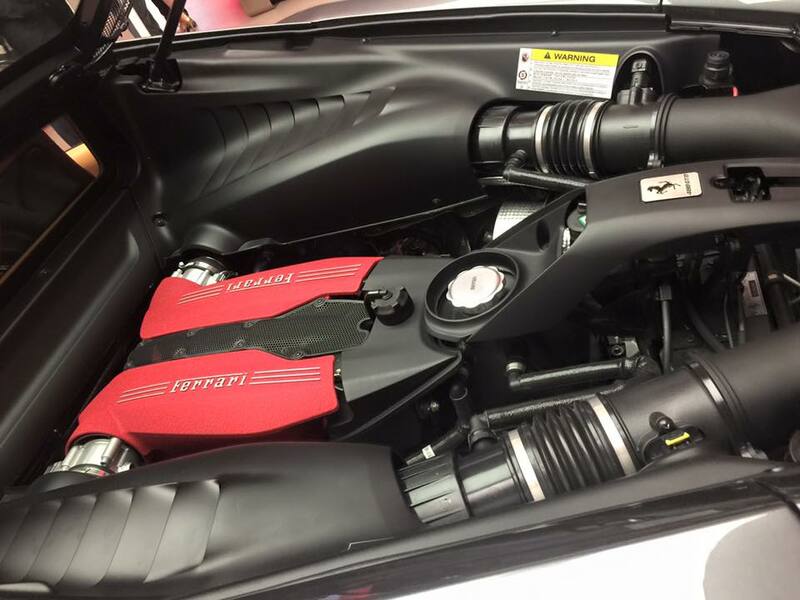 Boasting almost 20% more horsepower than the Ferrari 458, and of course even more improved handling. 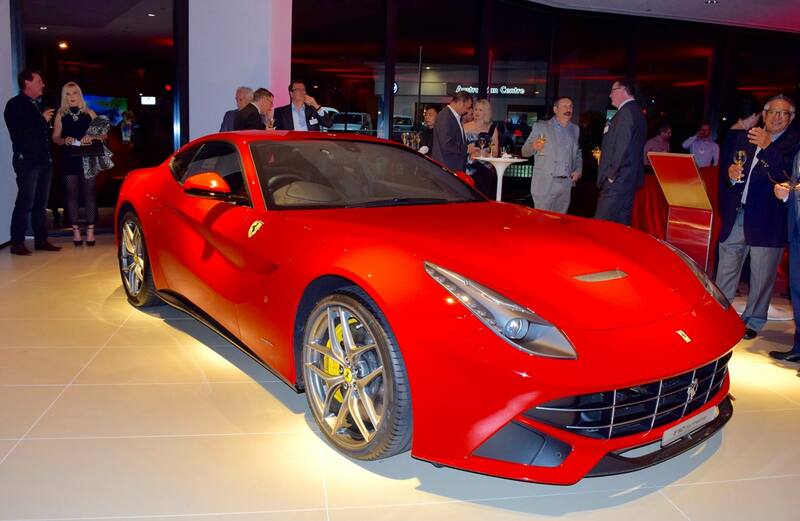 Brisbane Ferrari’s aim is to welcome everyone to their latest (and greatest) showroom. 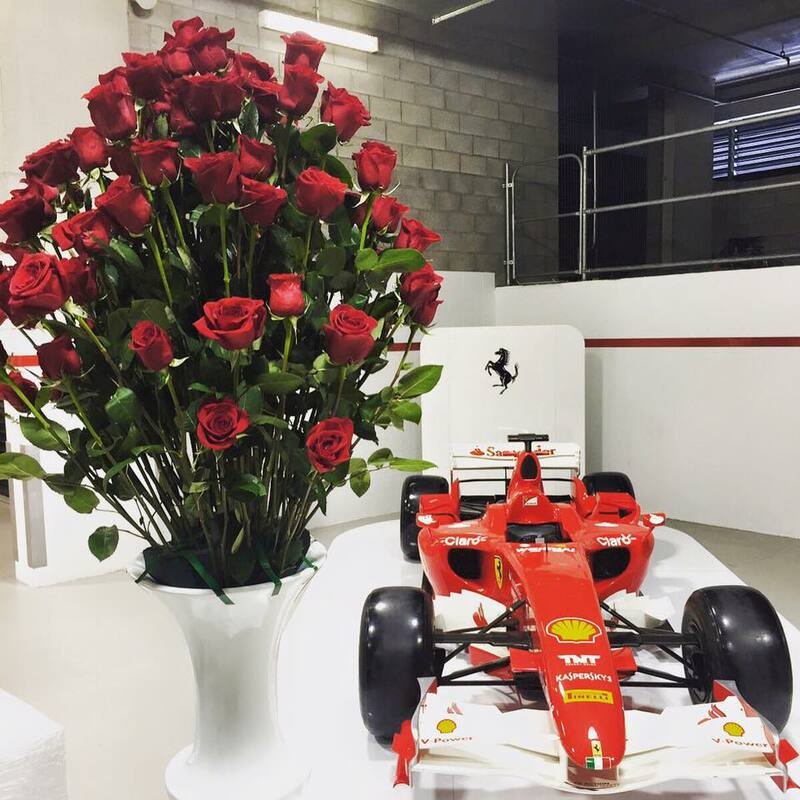 Come and see, smell and feel the dream that is… Ferrari ! 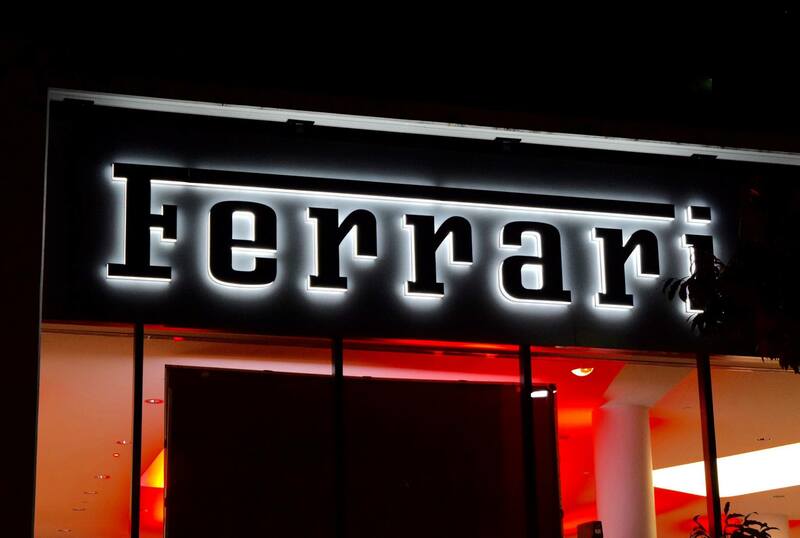 Located on the corner of Breakfast Ck Rd & Waterloo st (You cant miss it). 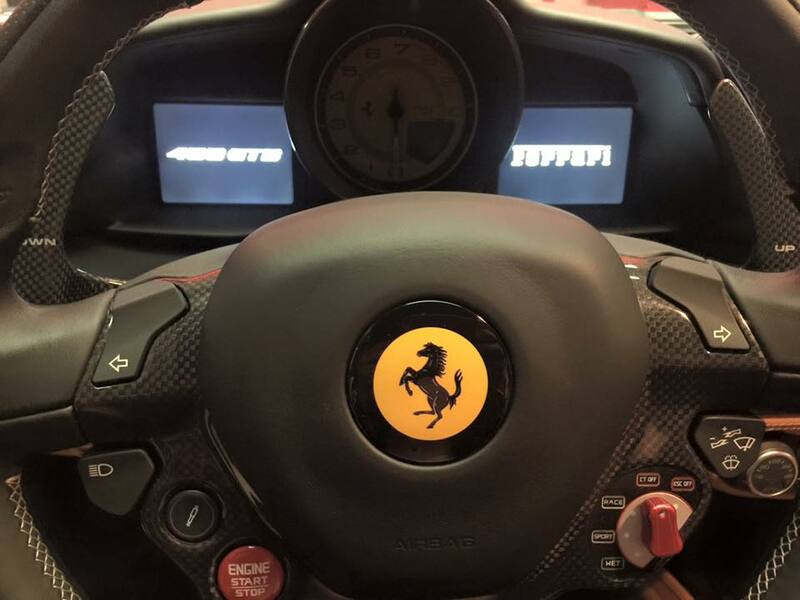 Feel free to place an order, or.. set it as a goal for the near future. 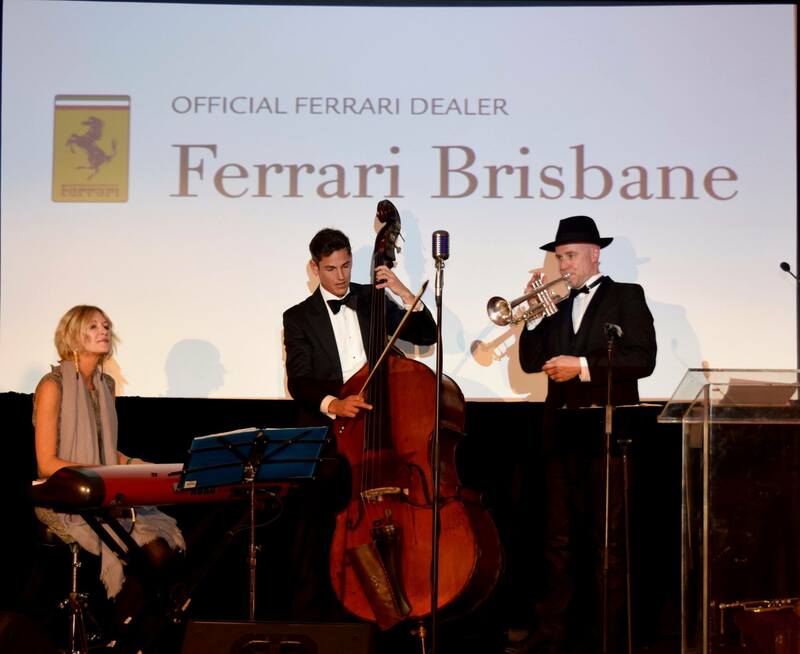 Thanks Brisbane Ferrari for inviting the Brisbane Super Car Club to this amazing event. 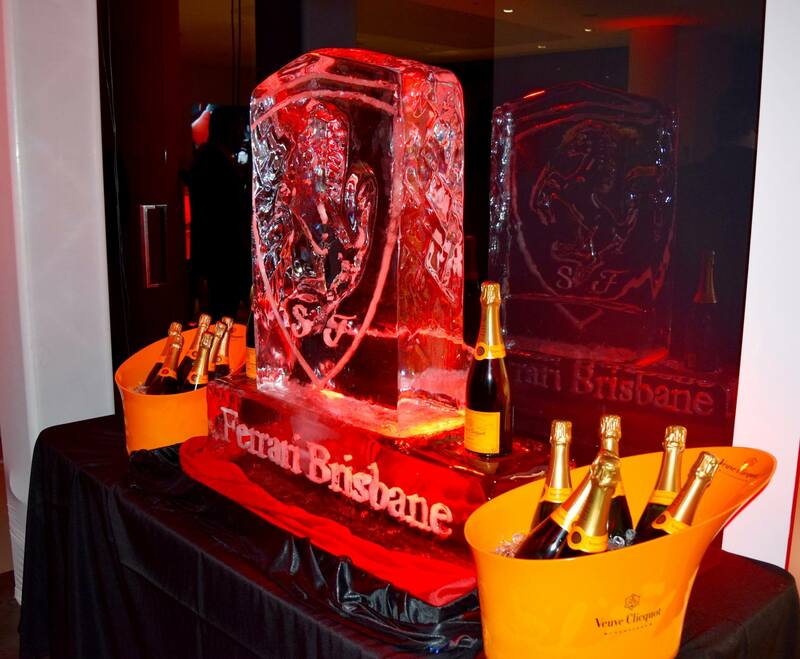 Picture credits: Ron Yap & Brisbane Ferrari.